A Montreal woman is warning apartment hunters to be cautious after her condo was falsely advertised as available for rent and used to scam people out of cash. Margaret told CBC that when a couple knocked at her door last week, expecting to be handed the keys to their new apartment, she watched their expressions change as she explained the situation. “I asked if they’d lost money. And they said ‘yes,'” she said. “They didn’t tell me how much. The girl looked really upset. CBC is only using Margaret’s first name because of safety concerns related to her job. It was earlier that same day that Margaret first learned about the scam from her realtor. Her condo in downtown Montreal is for sale. Margaret said her broker had received several inquiries about whether it was also for rent. After speaking with her realtor, Margaret went online and discovered her condo had been listed as immediately available for rent on three different websites, including Craigslist. The ads advertise the furnished downtown apartment, complete with a backyard, at the low price of $475 a month. 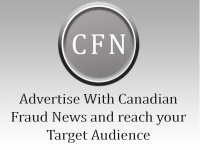 It’s a type of scam that’s all too familiar to the Canadian Anti-Fraud Centre (CAFC) the federal agency that collects information on frauds, including internet scams. “[Victims are] asked for a payment, and in most cases like the victim that you’re speaking of, you don’t find out that you’re a victim until you arrive at the actual property,” said Lisanne Roy Beauchamp, operations supervisor at the CAFC’s call centre. While there’s not much that owners can do, beyond reporting any fake ads, she did offer tenants advice: If the deal seems too good to be true, it probably is. Beauchamp said the telltale sign of a rental scam, above all, is if the landlord asks for any sort of advance payment before showing you the listing. “You’re safer to walk away,” she said. She also advises tenants take the time to vet potential apartments, and that they take advantage of Google’s reverse image search to see if the photos came from somewhere else. Read the original story over at CBC News.